Its safe to say eyes were on me in this Zara number. 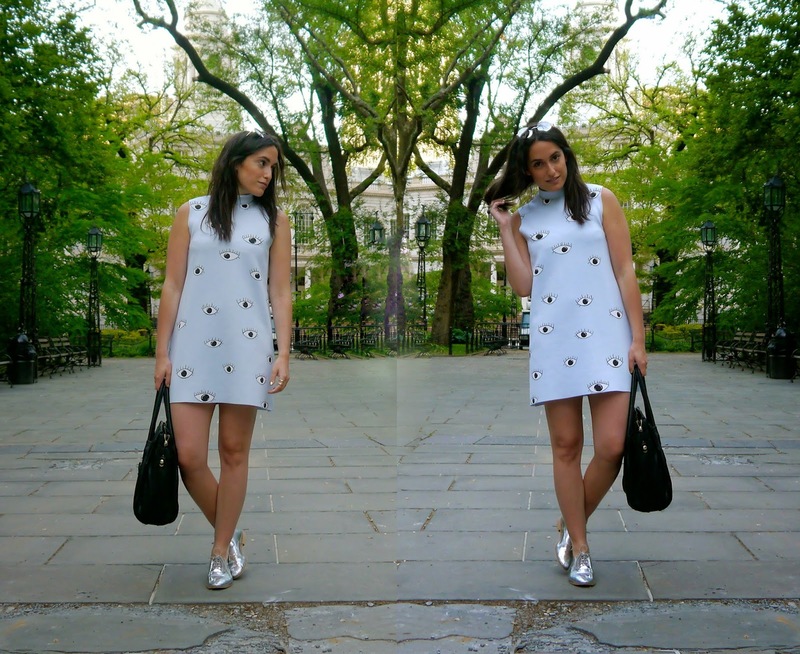 The sun is shining here in New York and that means it's time for little dresses to come out. After a winter of extreme temperatures and insane amounts of snow, being able to get my pasty pins out couldn't have come soon enough. So now fashion has always been the cause for a conversation starter and this dress is no exception. I heard them all yesterday from "quit staring at me" picking up coffee in Starbucks, "that dress is quite a looker" in the elevator at work, and my favourite "LOOK AT YOU" by some friendly suit in FiDi. That's what I love about clothes. The way they enable you to engage with others and them with you in other ways than just normal small talk. The floor is yours guys, what would be your best pun for this eye-catching dress? Love this dress! Its so cool. What a fun dress! I love how it fits and your accessories compliment it perfectly! Great shoes. Happy Friday! Awesome photos!! New York looks fun!! Cute dress and those shoes....OMG, I want! !